Examining the pursuit of "farm-to-table" watchmaking. Luxury watches have long been marketed as status symbols that identify their wearers as successful and powerful. American sociologist Thorstein Veblen coined the term “conspicuous consumption” in 1899 to describe the tendency of consumers to exhibit their wealth through the purchase of recognizable luxury goods. At first glance, this theory seems to explain the continued existence of the luxury watch industry. After all, luxury watches offer little in the way of practical value, and serve primarily as an expression of the owner’s buying power, interests, and values. But the theory of conspicuous consumption fails to adequately explain a major trend that has emerged in the watch industry over the last 25 years, which is the importance of so-called “in-house” movements. 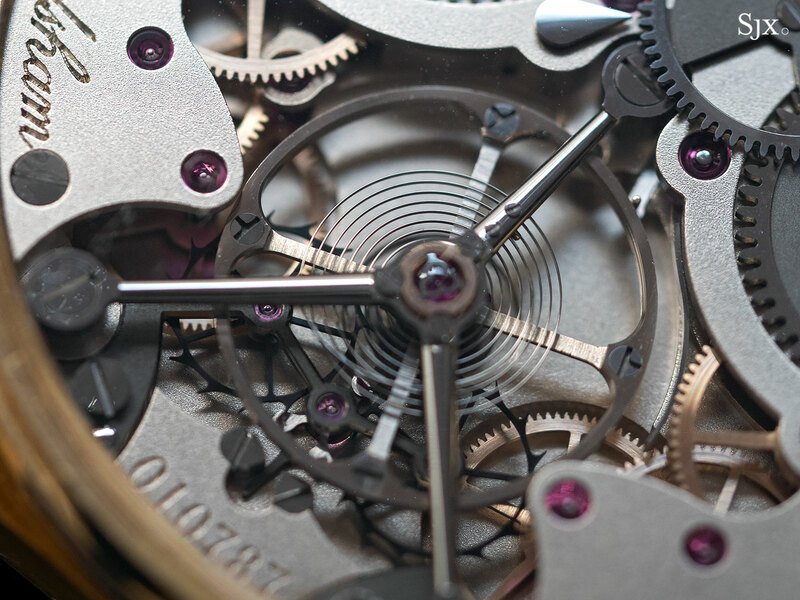 Strictly speaking, an in-house or manufacture movement is a movement produced in a watch brand’s own factory. 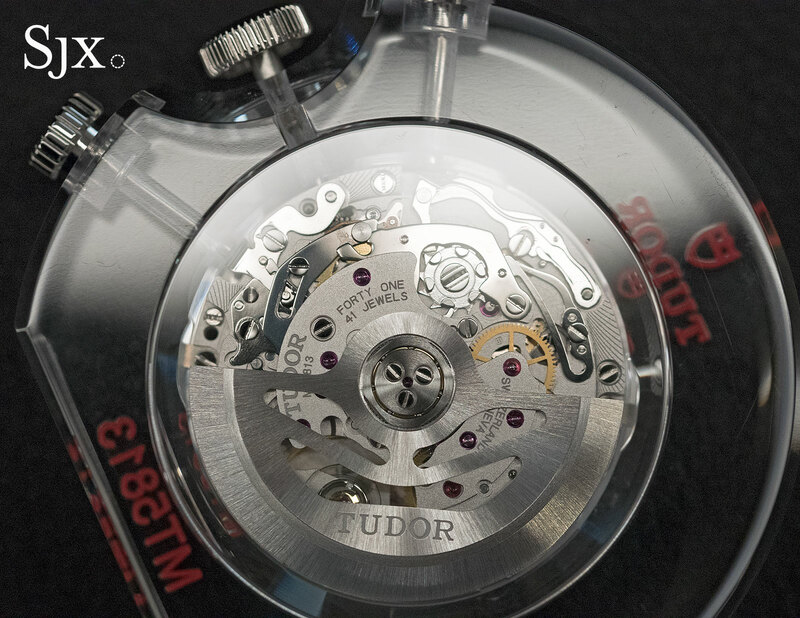 While this might seem like the most obvious way to make movements, it was actually pretty unusual in the Swiss watch industry until relatively recently, when the industry was revived after the Quartz Crisis. 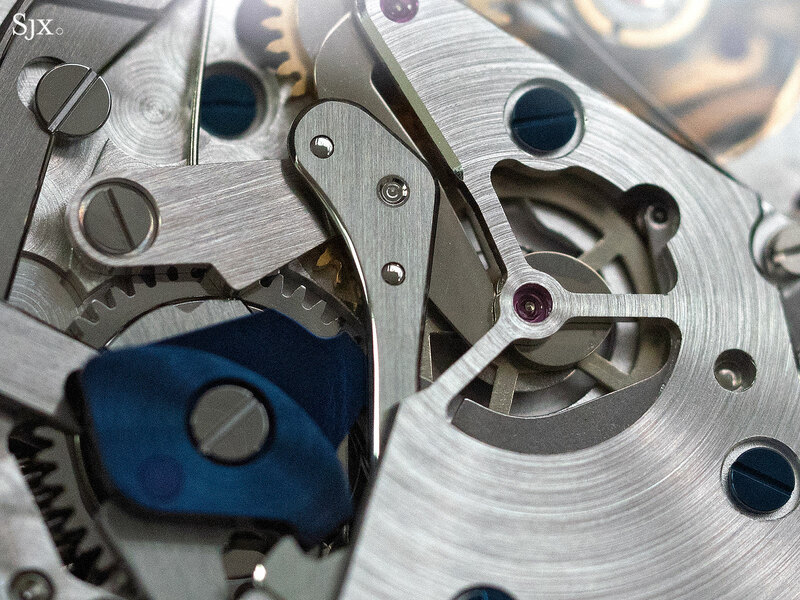 Historically, most Swiss watch brands relied on a network of cooperative and interdependent suppliers for movement kits (known as ébauches) and components. This arrangement enabled each supplier, even very small outfits, to achieve economies of scale in the production of specific components. While it’s tempting to think of concepts like “in-house” and “not in-house” as a dichotomy, in reality it tends to be more of a spectrum, with value added by different specialists at different stages of the production process. 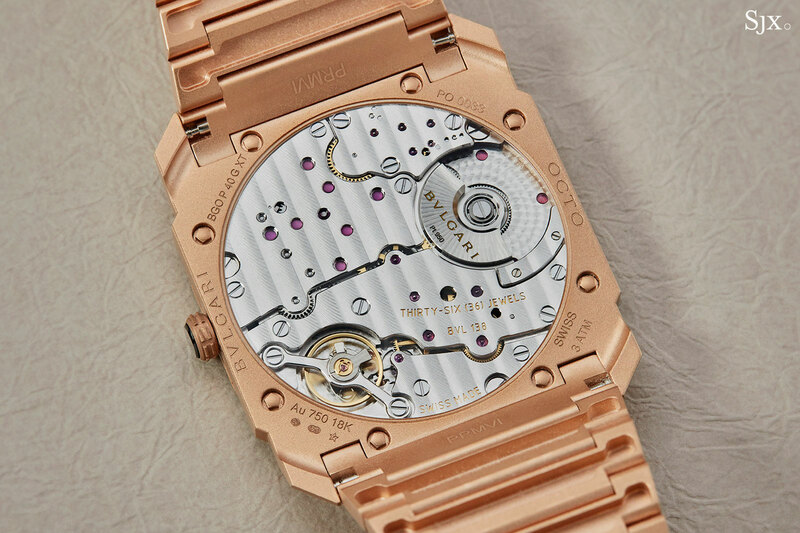 For example, the Audemars Piguet calibre 3120 is widely regarded as falling on the “in-house” end of the spectrum, but various components, such as the wheels and pinions, are provided finished from a third-party supplier. This spectrum makes it very difficult to assign a precise meaning to the term “in-house.” But the lack of an agreed-upon definition hasn’t stopped this term from becoming a major part of the industry lexicon, and an important part of the way watches are marketed today. The presence of an in-house movement is often inconspicuous, known only to the buyer and maybe a few educated watch enthusiasts. As Jean-Claude Biver recently commented, “… only we specialists know when it’s an ETA or Valjoux inside.” If this is true, the theory of conspicuous consumption would suggest that in-house movements should be of marginal significance for the luxury watch industry. So what accounts for this drastic shift in consumer preferences? Professor Elizabeth Currid-Halkett, author of The Sum of Small Things: A Theory of the Aspirational Class, might have an answer: conspicuous production. If you’ve ever paid more for a cup of coffee because it was brewed from single-origin beans, opted for a small-batch bourbon whiskey, or bought a watch because it had an in-house movement, you’ve probably been motivated by conspicuous production. The theory of conspicuous production suggests that the value of a product is derived primarily from a distinctive process of creation. In other words, it might be expensive, but it’s still a great deal for the consumer. While I’m not disputing the truth of this statement as it relates to the Zeitwerk specifically, the same case study lists healthy overall margins for the firm. Radical transparency is another hallmark of conspicuous production. The more a brand can tell you about the process of production, the more value it can demonstrate and the more it can charge for its products. Conspicuous production appears to have the most significant impact on product categories that are difficult for consumers to judge and understand. Wine, coffee, and whiskey are perfect examples, since most consumers cannot confidently distinguish tasting notes, or tell one brand from another by taste alone. It’s much easier for consumers to understand concepts like organic, biodynamic, small-batch, and old-vine, since these can be stamped on a label. 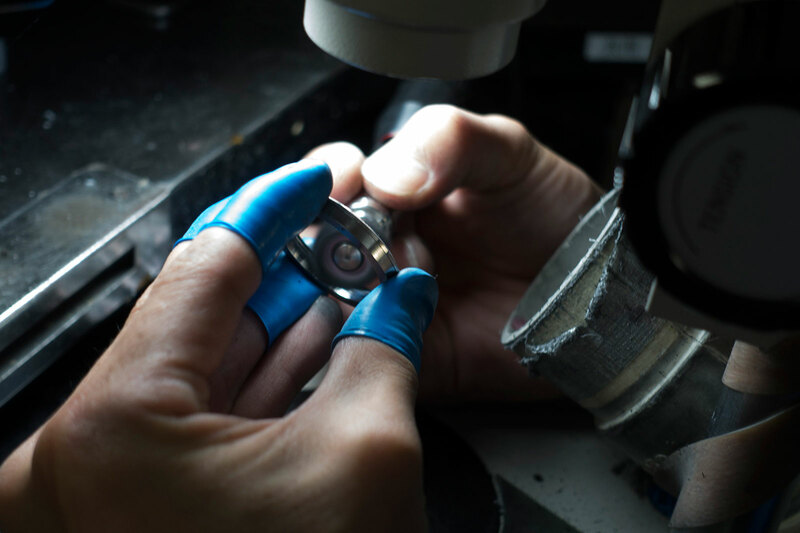 The same is true for the watch industry, where the functional difference from one watch to another is often imperceptible, measured in seconds per day or in the subtle nuances of hand finishing. This is why simple buzzwords like “in-house” have taken on such disproportionate significance. Another interesting aspect of conspicuous production is the way that it emerged as a trend, which has parallels with the trend towards the marketing of in-house movements. According to Dr Currid-Halkett, the rise of conspicuous production was driven largely by the rise of information transparency and a backlash against globalization. From these trends, a new set of consumer values emerged that prized things like traditional craftsmanship, transparency, quality, and distinctiveness. Brands recognized that affluent consumers would be willing to pay more for things, even ordinary cups of coffee, if they were made in a way that aligned with these new values. These are the same forces that have fueled the mania for in-house movements over the past 25 years. It was the rise of internet watch forums in the 1990s that first brought real information transparency to the watch industry and focused collectors’ attention on the relative lack of product diversity that characterized the industry in the decade following the quartz crisis. For the first time, collectors began to notice just how many of the watches they were buying were powered by an ETA 2892 or Valjoux 7750. The problem for consumers wasn’t in the use of these movements, but rather in the inherent contradiction of brands simultaneously touting watchmaking supremacy while offering undifferentiated products. At the same time, new consumer values brought increased attention to brands that were producing their own movements in-house. In other words, collectors began craving farm-to-table watchmaking, and they were ready to pay. A somewhat alarming aspect of conspicuous production in the watch industry is that much of it appears to be for its own sake, rather than for the benefit of customers. What I mean by this is that the trend towards in-house movements has not had as big of an impact on product diversity or quality as one might expect. While there is no doubt that there is a much larger number of in-house movements on the market today than in the late 1990s or early 2000s, the quantity is misleading because it doesn’t account for how many of these movements are effectively subtle variations of a few basic designs. As consumers, we need to think critically about not only what brands are doing, but also why they are doing it. Is a brand really offering something unique if its in-house movement is effectively identical to what’s available from a third-party supplier? Or has the brand simply chosen to make manufacture status a key part of its brand narrative? To explore what this looks like in practice, let’s look at the Bulgari caliber BVL 138 and the Cartier caliber 1847 MC. A few years ago, Bulgari decided to become a leader in ultra-thin watches, and had no choice but to develop a number of in-house movements to achieve this goal. The automatic BVL 138 is a great example, which, at 2.23mm thick, is the thinnest automatic movement from any brand. For brands that are seeking true differentiation in terms of movements, there’s no alternative to developing movements in-house. In contrast, Cartier’s entry-level in-house caliber 1847 MC offers nothing novel in either its dimensions or its functions. Beyond the fact that the 1847 MC enables Cartier to tell a conspicuous story about the brand’s in-house production capabilities, it’s hard to see what actual value this movement offers collectors beyond that offered by an off-the-shelf Sellita SW300 or Soprod A10. Another interesting dimension of conspicuous production in the watch industry is the way that large conglomerates have sought to balance brand narratives about in-house production with the economies of scale needed to produce reliable movements in a cost-effective way. A perfect example is ValFleurier, a subsidiary of Richemont that develops and manufactures movements and components for most of the group’s portfolio brands, such as Montblanc, Panerai, and Piaget. This corporate structure, which effectively outsources much of the actual watchmaking to a sister company, flies in the face of the predominant narrative that each brand is a self-sufficient manufacture. Perhaps for this reason, Richemont has chosen not to list ValFleurier on its list of portfolio companies. In fairness to Richemont, similar structures can be found at rival conglomerates like LVMH and Swatch Group. In the watch industry, conspicuous production typically emphasizes craftsmanship, engineering prowess, authenticity, and the preservation of unique skills; all good things. But not every brand can credibly assert that their watches are handmade or that they possesses unique expertise in designing movements. These brands have to frame their value proposition in another way. For many brands, this means emphasizing the idea that they produce their movements in-house, while obliquely paying lip service to things like craftsmanship and authenticity. This enables brands to redirect the conversation to an area of strength in order to avoid difficult truths. In other words, most brands would rather talk about a gleaming new factory than admit just how little craftsmanship actually goes into their watches. Our cultural obsession with how things are made probably means that the demand for in-house movements is here to stay, dubious benefits notwithstanding. And that’s a shame for small independent brands that, by definition, lack the resources to develop and produce reliable movements in-house, something that usually requires economies of scale. Informed consumers shouldn’t overlook high-end suppliers like Vaucher, Uhren-Werke Dresden, and Schwarz-Etienne, and the amazing work being done by creative independent brands like Kikuchi Nakagawa and J.N. Shapiro that rely on them for movements. My argument is not that in-house movements are not an important and vital part of a thriving luxury watch industry. Quite the contrary; most truly great watches are, and will continue to be, substantially in-house products. True horological differentiation can only be achieved when brands invest in their own capabilities in order to go beyond what’s available from suppliers. I’m merely arguing that the luxury watch industry has, in general, stripped out much of the value from the term “in-house” in order to more easily appeal to consumers’ desire for products made in a conspicuously authentic way, without necessarily delivering the promised authenticity or differentiation. As consumers and collectors, we need to be conscious of the role that conspicuous production plays in the watch industry, and get better at recognizing when real value is being added, and when it isn’t.